Mike has spent over 30 years working in the Financial Services industry with much of this in the commercial lending sector. He was a Network Director of the Lloyds TSB Business Banking, and latterly, Commercial networks, and has also led the Change and Strategy functions in these businesses at various times. He was Mid Corporate Real Estate Director of Bank of Scotland Corporate following the HBOS and Lloyds merger in 2008 until 2010 and, before joining Cambridge & Counties Bank in 2012, worked with several specialist property Banks as they undertook strategic reviews of their business in response to prevailing market turbulence. 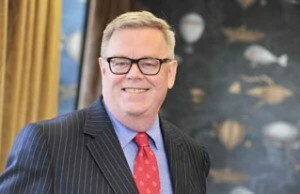 Since the launch of the Bank in 2012, Mike has held the position of Chief Operating Officer, subsequently taking up the position of CEO in October 2014.